Loneliness, memory loss and an uncertainty over what is real and what is fantasy is something well trodden, whether that be by the film world, the artists out there, or our games – especially those that deal with horror. 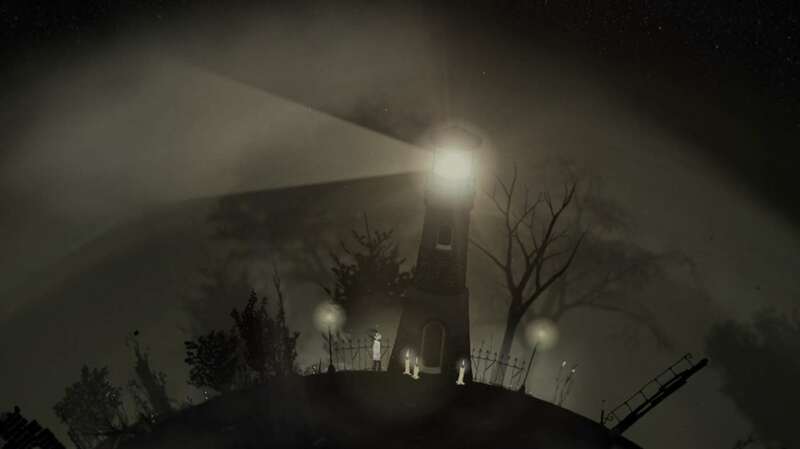 When you load up World of One you might think you’re playing a Limbo inspired platformer, with the black and white world of horror and strangeness on offer. But scratch under the surface and you’ll find that this game has a lot more to offer and in its own little World of One way, it’s very unique indeed. You wake up on a tiny circular world, like a small planet adrift in space. You’re dressed in black, with spiky hair and a pale face. You remember bits of the landscape around you, but something isn’t right. You have a little house with paintings hanging up that you describe in detail, before you head off out to remember the past and explore the world. When you see someone in the distance, you begin to chase… and that is where World of One really begins. The story found within unfolds neatly, letting you gather information by drip feeding sections, bit by bit. It works extremely well. When the first real cutscene comes in after a huge chunk of the game has already taken place, a big reveal is shown and things start to make sense. Or do they? I really love the world, and the tale behind it that the development team have created, for it is hugely intriguing and utterly unique. But how does it play? The gameplay is pretty straightforward and to begin with you are left with the gaming staples: move and jump, pick up objects, push around crates etc. You know the normal meat and gravy of any little platformer. The main thrust of the action though is found in the puzzle side of things with interesting yet not too tricky conundrums to complete. 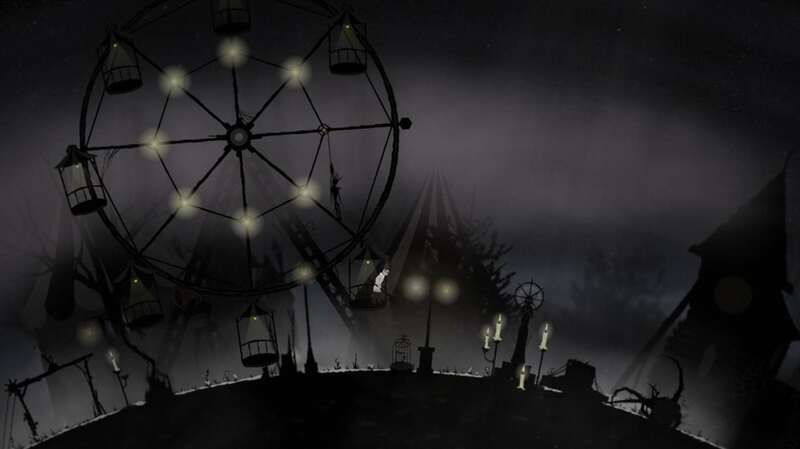 For example, near the beginning, there is a key in an old fairground that you need to get, which opens up a gate. The problem is that it is on a hut that’s too high to jump to, and so you need to find a power source for the Ferris wheel, get that going, then jump on said wheel and hop over to the key. All of the puzzles are neatly designed and most importantly fun, bringing together the World of One as you try to get from one end of the circular world in order to exit through a portal. There are tons of secrets and extras to be found along the way, so it has good replay value if you fancy it, too. However, there are times when the jumping can come across as hugely annoying and a bit inconsistent, with little confidence ever gained from your actions; what works once, may not necessarily work the second time. Also, the limited combat sections can be a bit clunky at times – never enough to spoil the enjoyment of the game, but clunky enough to slightly frustrate. That said though, it is the creativity on offer where this game really excels and there are mechanics that are, quite frankly, genius, like catching orbs, utilising weather systems and enjoying super jumps. If anything, they allow you to be able to get to those hard to reach areas. Then there are the frantic boss battles that come across as being quite tricky to begin with, but end up as delightful affairs once you have worked out the formula needed to beat them. It must be said that I spent what seemed like an age trying to better the first one, but none of this time felt wasted and when I completed it felt like a major achievement. 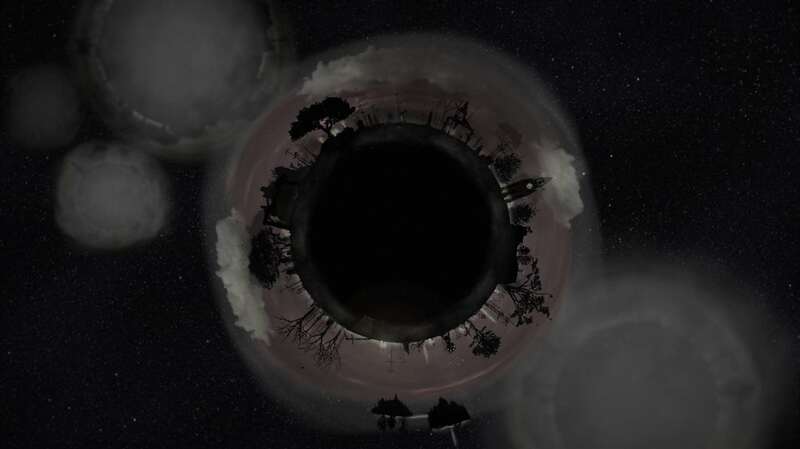 The looks of World of One are highly stylised and beautiful. Yes, it does have that monochrome feel of Limbo, but that’s not a bad thing, mainly because it works so damn well. The characters are great, the cutscenes are marvelous, and there is a nice bit of attention to detail when you die and get pushed back through the friendly checkpoint system, with splatters of colourful red blood left in the black and white world. The soundscore is also beautifully designed and when you get a boss fight it suddenly kicks into a rock soundtrack that works cleverly with the action on screen. To conclude and it must be said that this little indie game is surprising in many ways; it is certainly not the Limbo rip off that many may expect. Instead, it has a very unique tale to tell, a brilliant concept for a platformer and some interesting game mechanics that both innovate and surprise. The combat is a bit clunky and there is some frustration found in the occasional jumping section, but it doesn’t ruin the overall experience one bit. Drop in the cheap price point and it ensures that World of One is well worth taking a punt on – particularly if you love strange new worlds.